Are you thinking of buying your first home in Hawaii? 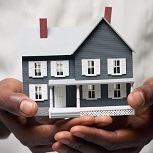 Would you like information on the various programs in existence that will help you purchase that first home? If you answered yes to these two questions, there is great news for you. The state of Hawaii provides programs, at least one of which even provides free grant money for its residents who are first time home buyers and need help with the down payment and closing costs. This money comes in the form of state grants. This is free money that shouldn’t be passed up! The grant awards can be in the thousands of dollars. There are also programs available at the federal level, such as provided by the USDA, and various local programs provided by cities and counties. It will be well worth your time to educate yourself about the grant programs that are available throughout the State of Hawaii. The agency in Hawaii that provides assistance is The Department of Hawaii Home Lands. According to Micah Kane, chairman of the DHHL’s Home Ownership Assistance Program, “Welcome to the Hawaiian Home Lands program. The program has its roots in the Hawaiian Homes Commission Act of 1920, as amended. It provides native Hawaiians with several benefits that we hope will assist you and your ‘ohana for generations to come. Entry into the program, however, depends largely upon you. In the course of applying for a homestead, you may find yourself embarking on a journey of discovery into your family’s history. While it often takes time, for most people it is a process well worth the effort.” To find out more about this program, please visit the Department of Hawaii Home Lands’ website page specifically describing all the programs for residents of Hawaii. In addition to the grant programs described above, the U.S. Department of Housing and Urban Development provides home buyer assistance and grants to Hawaii residents. There are multiple grant programs designed specifically for people that meet certain requirements, such as grants for people with disabilities so they can continue to live independently at home. It is worth visiting HUD’s website to see what assistance is currently available. For your convenience, simply go to grants in Hawaii. There is also assistance provided by the U.S. Department of Agriculture Rural Development Program. From their website, “Rural Development announces the availability of money for many of its programs in the Federal Register, through a Notice of Funds Availability (NOFA). Each NOFA lists the application deadlines, eligibility requirements and places where you can get more help in applying for program dollars.” To learn more about USDA Rural Development’s programs in Hawaii, simply visit the USDA Hawaii home buyer programs pages. The Individual Development Account (IDA) is an asset-building program for low-income individuals. Funded by the Office of Hawaiian Affairs (OHA), ALU LIKE, Inc. has partnered with Bank of Hawai‘i to offer this asset-building tool to Native Hawaiians around the state. To ensure post-program stability, qualified individuals will develop budget-making skills through financial literacy, asset goal classes and case management. The City and County of Honolulu’s Down Payment Loan Program is part of the City’s efforts to promote homeownership and create a strong community. Utilizing HOME Investment Partnership Act funds from the U.S. Department of Housing and Urban Development, this program provides a zero interest loan to qualified low- and moderate-income families to meet down payment requirements for home purchase. WHO MAY APPLY FOR THE CITY’S DOWN PAYMENT LOAN? *These income limits are subject to periodic revision. 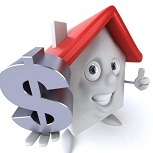 WHAT IS THE MAXIMUM LOAN AMOUNT THE HOMEBUYER MAY BORROW? The loan limit is $40,000. Loans will be made on a first-come first-served basis subject to the availability of funds. WHAT IS THE INTEREST RATE AND LOAN FEE? The interest rate is 0% for all income-eligible borrowers. There is no loan fee. WHAT KIND OF PROPERTIES MAY BE PURCHASED? The property must be located on Oahu. The property must be a legally permitted structure meeting all local building codes. In addition, the property must pass a Housing Quality Standards inspection and meet other Federal requirements such as those governing Lead-Based Paint for homes built before 1978 and environmental reviews. “The Hawaii Housing Finance and Development Corporation (HHFDC) is pleased to announce that $15 million in Hula Mae single-family loan funds are available for eligible first-time homebuyers at reduced rates. The Hula Mae program offers Fannie Mae and Ginnie Mae 30-year mortgage low rate loans of 2.95 percent through participating lenders. It also offers a down payment assistance loan for up to 3 percent of the contract sales price at a rate of 3.45 percent. Both loan types have a 1.25 percent loan fee for a Fannie Mae loan and a 1 percent loan fee for a Ginnie Mae loan plus closing costs. The County’s Home-Buyer Loan Program makes low cost loans to low-income, first-time Home-Buyers on Kaua‘i for the purchase of an existing dwelling unit or the construction of a new dwelling unit to be used as their primary residence. The County finances its loans with federal funds with the goal to increase home ownership opportunities for lower-income households. See HUD Income Limits for income eligibility. 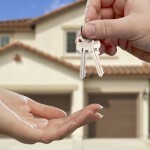 Candidates for Home-Buyer Loans take a series of home ownership classes offered by the Housing Agency. 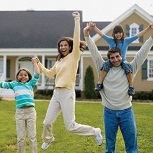 Upon completion of the class, applicants can purchase a home not to exceed HUD’s sale price limit, currently $187,300. The typical homebuyer is expected to obtain as much financing as possible from a conventional lender, then the County provides the additional mortgage money to complete the purchase at a reduced interest rate and with a seven year deferred repayment period. See Types of Home-Buyer Loans for a description of the three different loans available from the County for first time buyers. The two loans to purchase an existing home require a minimum down payment of 1.5% and the construction loan requires ownership of the site and at least a 25% equity position. All loans are at 3.0% interest. The HOME program is a HUD housing grant program that is locally designed to increase the supply of decent, safe, affordable and sanitary housing for very-low and low-income families. The HOME Program works to provide loans and grants to local jurisdictions that can be used to help implement locally designed housing programs. This typically involves the creation of partnerships between government and nonprofit organizations to implement home ownership and rental housing projects. 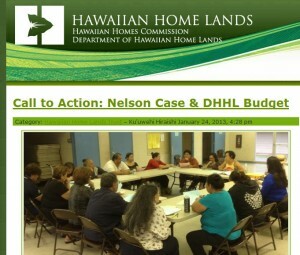 HUD provides HOME funds to the State, who in turn, distributes the funds to the neighbor island counties. The Kaua‘i County Housing Agency administers the HOME program locally according to HUD regulations (24 CFR 92). The objective of the program is to increase housing opportunities for very-low and low-income families with primary attention to home ownership opportunities for first-time homebuyers, self-help home ownership projects, rehabilitation of rental housing, and transitional housing for special needs groups. A schedule of events and fact sheet are updated periodically. This entry was posted in Down Payment Assistance, First Time Home Buyer Grants, First Time Home Buyer Info, First Time Home Buyer Programs and tagged Hawaii home lands, HUD office in Hawaii. Bookmark the permalink.